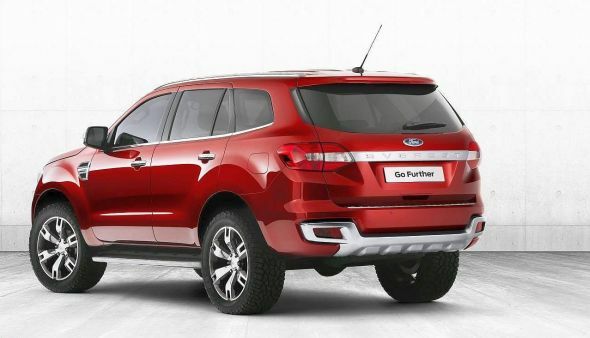 The all-new, next generation 2015 Ford Endeavour SUV will be launched in 2015 with the SUV likely to be assembled in India through the completely knocked down (CKD) kit route by the middle of next year. Ford has been testing the SUV for quite a while now and the American car maker even showcased a concept version of the 2015 Endeavour/Everest at the recently concluded 2014 Bangkok Motor Show in Thailand. New details have emerged about the 2015 Endeavour/Everest. According to GoAuto, the SUV’s top end automatic gearbox equipped variant is likely to feature a terrain sensing all wheel drive system. The all drive system, said to be inspired by Land Rover’s famed TerrainResponse mechanism, will have a one touch function that will enable the driver to toggle between multiple terrain conditions such as tarmac, sand, ice, and other off-road conditions. American automaker Ford owned Jaguar and Land Rover until 2008, before selling off these luxury marques to Indian automaker Tata Motors. However, many technologies developed under the aegis of the American automaker continue to do duty on Jaguar cars and Land Rover SUVs sold currently. In this light, a modified version of the Land Rover TerrainResponse system making its way into the 2015 Endeavour doesn’t seem far fetched. As rumors suggest that the new terrain sensing all wheel drive system for the 2015 Endeavour will be offered only on the top-end, automatic version of the SUV, is is likely that the next-gen Endeavour would retain the four wheel drive system with a low ratio on other models. Like its previous generation model, the new body-on-ladder chassis equipped Endeavour is based on the Ford Ranger pick up truck platform. Apart from featuring new styling inspired by Ford’s new global design language and interiors getting upmarket, the 2015 Endeavour continues to plug the rugged, pick up truck based SUV route. The current crop of four cylinder, 2.5 liter (141 Bhp-330 Nm) and 3 liter (156 Bhp-380 Nm) TDCI turbo diesel engines are expected to be retained on the new Endeavour. However, the manual and automatic gearboxes will get an additional cog, becoming 6 speed units. 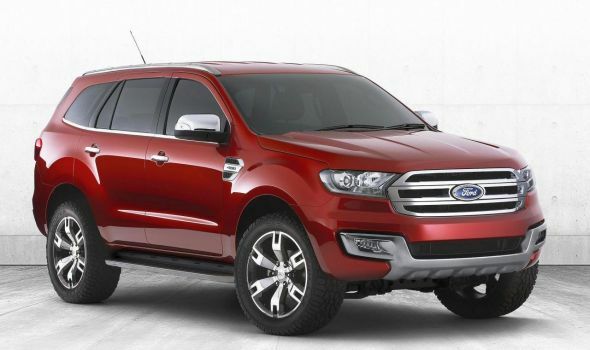 Click here to read more about the 2015 Ford Endeavour SUV, bound for India next year.